While the causes for second-trimester miscarriage (or "late miscarriage") can overlap with first-trimester miscarriage ("early miscarriage") as well as stillbirth, the treatment of second-trimester miscarriage is often different from a first-trimester miscarriage. Unlike an early miscarriage, you may not have as much choice in your treatment options. 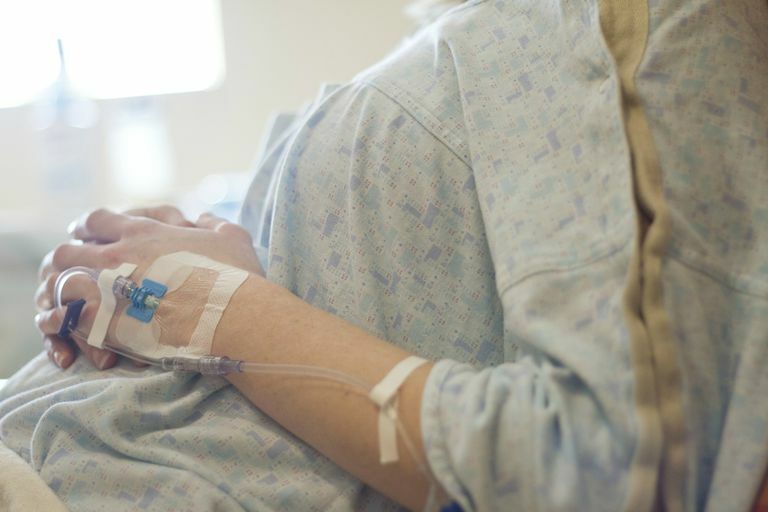 Your plan of care may be determined by circumstances outside your control, such as infection or preterm rupture of membranes (also called the bag of waters). Your physician will advise you about any options you have and help you make an informed decision about the right treatments for your individual needs. Please note that these treatments may also apply to women who require a medically indicated termination. A D&E is a surgical procedure that involves dilating the cervix, which is often done starting the day before. On the day of the procedure, your physician will use a specialized surgical device to remove the contents of the uterus. This procedure does involve anesthesia; D&E may not be possible depending on how far along you are in your pregnancy and when the death of the fetus was diagnosed. Not all physicians are trained to perform D&E; however, most doctors will refer you to one who is if this is the right treatment for you. Medical management is the most common type of treatment recommended for women who miscarry in the second trimester. Medical management involves taking one or more medications to cause cervical dilation and allow the fetus and placenta to deliver vaginally. The medications most often used are misoprostol and mifepristone. Misoprostol can be taken orally, held in the cheek until it dissolves or placed against the cervix by a physician to induce contractions. Misoprostol can be used alone or in combination with mifepristone. During the second trimester, misoprostol is usually administered in a hospital where you can be monitored by nurses and physicians in case any further treatment is required. Mifepristone (sometimes known as RU-486 or Mifeprex) may be used as a "pretreatment" to misoprostol to prepare the cervix for induced contractions. Not all medical providers or facilities use mifepristone. Discomfort is usually more intense with a late miscarriage than with an early one. Because most second trimester losses occur in the hospital, your options for pain control are diverse. You can discuss your options with your nurse, physician and the anesthesiologist on call. Epidural: Numbing medication and pain medication can be given through a small tube placed in your back by an anesthesiologist. One of the most frequent causes of late miscarriage is an infection. Infection is often a result of the water breaking prematurely. In these cases, your treatment may include antibiotics to treat infection, admission to a hospital unit and possibly special positioning to encourage the pregnancy to continue while antibiotics are given. Although a pregnancy can be maintained with ruptured membranes, the risk of infection is high, and miscarriage sometimes occurs despite intervention. Many times, these miscarriages occur quickly and without any intervention from a physician, similar to the "natural miscarriage" many women experience in the first trimester. A second-trimester miscarriage is unusual enough that your physician will most likely recommend some follow-up testing. The type of testing depends on the known or suspected causes for your miscarriage and can include analysis of the placenta or fetus after delivery, evaluation of your uterus, identification of the bacteria or virus that caused the infection and analysis of your blood for any clotting disorders. Your physician will recommend the appropriate tests based on your history. There may be things you can do in future pregnancies to decrease your chances of having another late miscarriage. Michels, T.C., Tiu, A.Y. Second-trimester pregnancy loss. American Family Physician 2007. Puscheck, E.E., Chelmow, D., Trupin, S.R., et al. Early pregnancy loss treatment & management. Medscape 2010. Wildschut, H., Both, M.I., Medema, S., et al. Medical methods for mid-trimester termination of pregnancy. National Institutes of Health. Can Progesterone Supplements in Pregnancy Help Prevent a Miscarriage?